The baboon represents the starting point of a Cycle (a creation cycle or a daily cycle). The baboon represents this point of beginning extremely well. The baboon is almost human; and as such, it represents this crucial moment that precedes the awakening of the sun. The baboon emits a crackling sound at the crack of dawn, The Point of beginning. 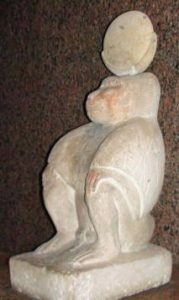 In such role, the baboon is associated with Thoth [Tehuti]—the divine intermediary between the metaphysical (the darkness before dusk) and the Physical (as the light is coming forth). In Ancient Egyptian traditions, the words of Re (Ra), revealed through Thoth (Hermes, Mercury), became the things and creatures of this world; i.e. the words (meaning sound energies) created the forms in the universe. 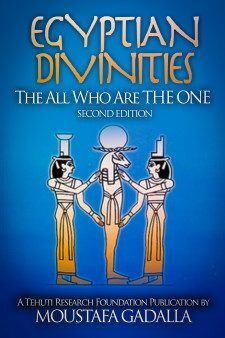 As such, Thoth represents the link between the metaphysical (extra-human) and the physical (terrestrial). 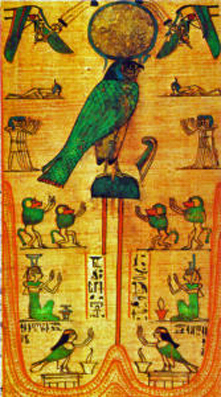 Such a link by Thoth represents the crack of dawn, and therefore Thoth is related to the baboon. or standing up, hailing the coming of a new cycle. Consistent with the baboon’s role, we find that one of the four Disciples of Horus is baboon-headed. His role is to watch over the Eastern quadrant—the region where new/renewed creation comes forth.